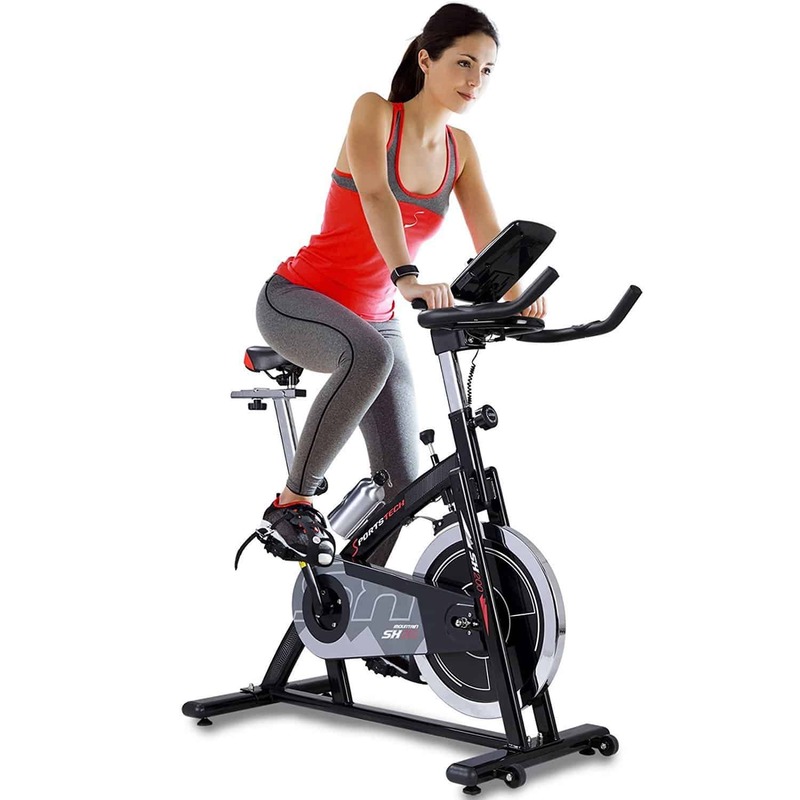 The Sportstech Professional Indoor Cycle SX200 is one of four indoor exercise bikes in the Sportstech range. Due to this been a new model and only been available in the UK for a short amount of time, there isn’t too much information available on these spin bikes. In terms of customer reviews previous buyers seem to be happy, as it does have four and a half stars on Amazon. In this review we will be shedding some light on the SX200 and going over its features and specifications to see if it provides good value for money. 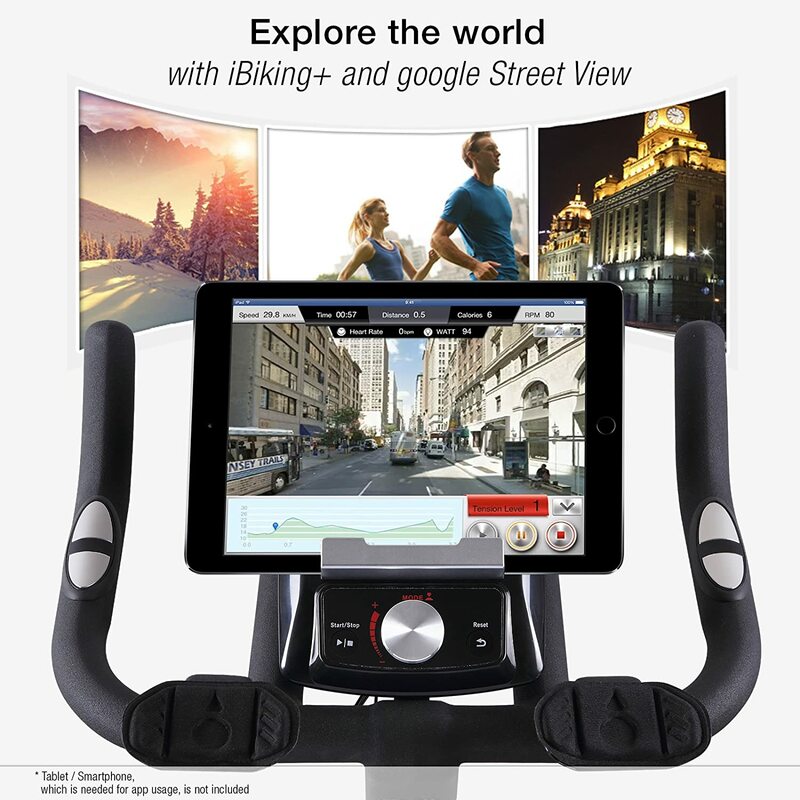 With the app compatible console and tablet holder in connection with the fitness application you are able to train on your favourite route with the Google Maps Street View function and track your training history. Thanks to the belt drive system there is an optimal power transmission on the flywheel. It is also very quiet and nearly does not need maintenance in comparison to the chain drive system. Beside the leg musculature you train nearly all main muscle groups. This allows a more effective and balanced, joint-protected training. 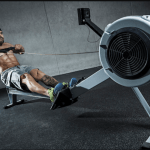 Beside the fat burning you are also training your endurance and condition plus-points over the competition. The Sportstech SX200 has a lot to offer in terms of features. 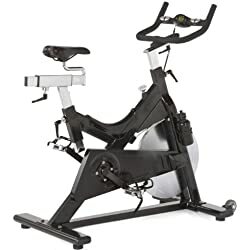 When compared to the competition and bikes of a similar price, you would struggle to get as much for your money as you do with this spinning bike. 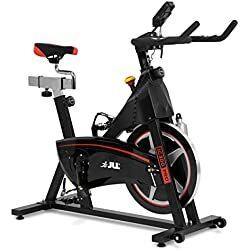 Positives include plenty of training programs for motivation, a very testing resistance system and a flywheel that won’t be beaten in weight by similar priced spin bikes. 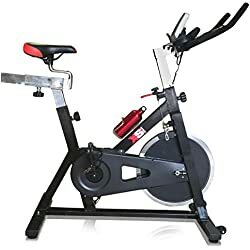 Previous buyers have given the Sportstech Professional Indoor Cycle SX200 five out of five stars on Amazon and left some very good reviews, which is always a good sign of a quality product. With a massive 22 Kg flywheel the SX200 will give even the most experienced spinners a hard workout. 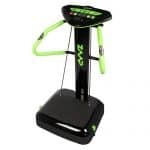 Combined with the step-resistance system this model is designed to put you through your paces and push you to your limits. At the lower end of the resistance settings the workout offered is perfect for beginners, as it is not too testing. 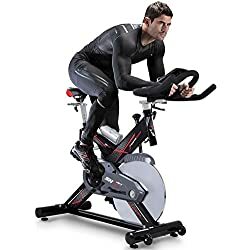 That been said, this model is a good buy for those looking tp progress and improve their fitness levels. The Sportstech SX200 has a high-quality multifunctional console with digital display and plenty of training programs. Monitor functions include speed, time, pulse, calories and RPM, more than enough to keep track of your workout data. 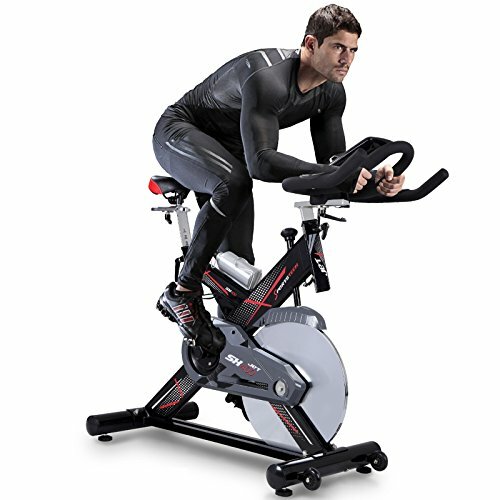 Due to this been a pulse belt compatible spin bike, there is also the option of heart-rate base training. The console is also fitness app compatible allowing the use of the iBiking app through the use of a tablet or Smartphone. Other positive features include Google street view and Google maps. 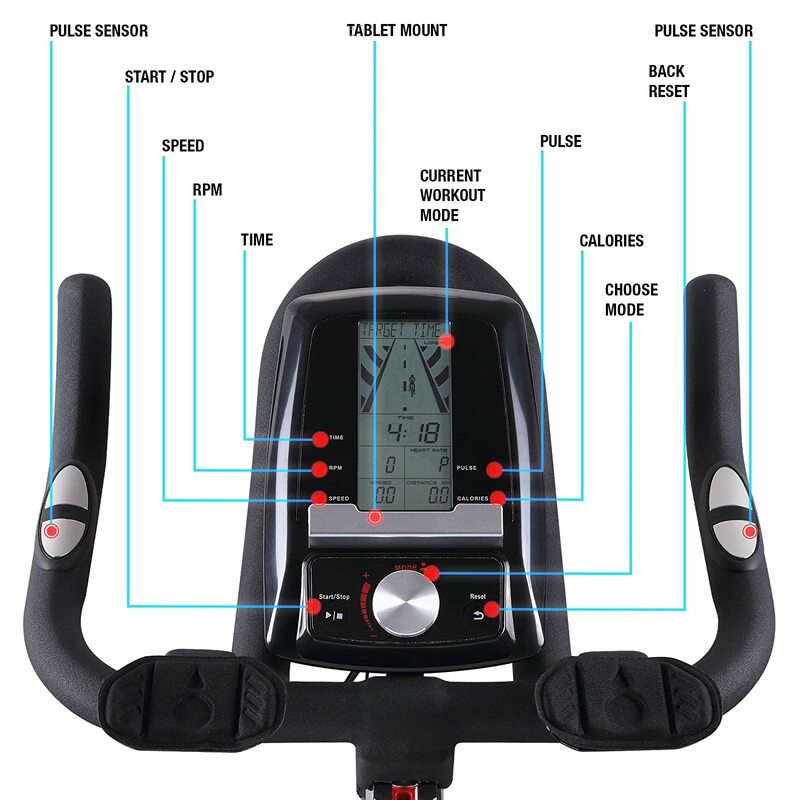 To sum up the LCD and its features in a few words, you get a lot more for your money than you do with other spin bikes of a similar price. 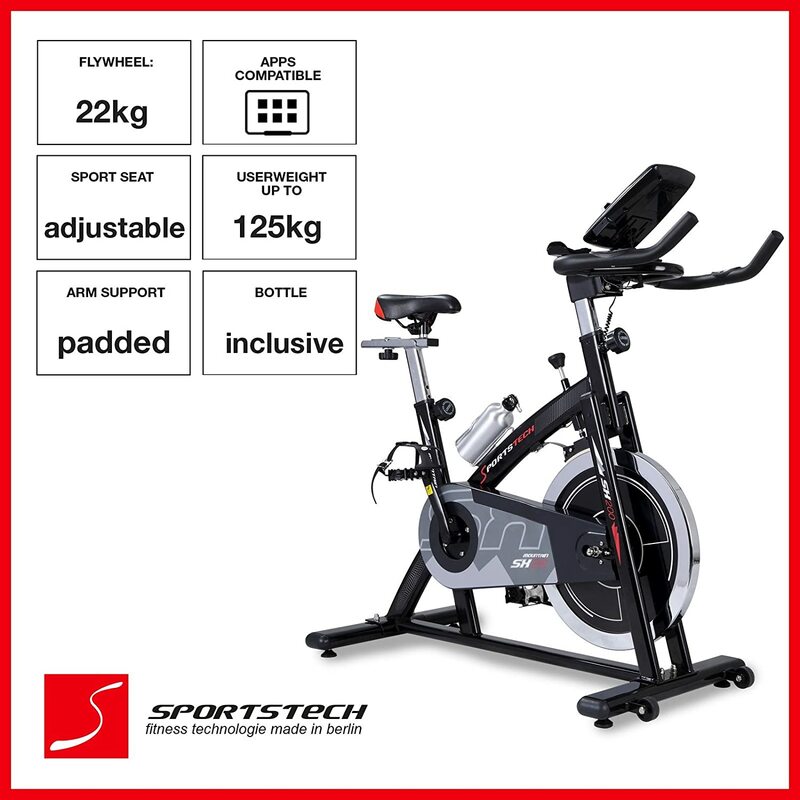 If you are looking for a comfortable spin session then the Sportstech SX200 could be the indoor exercise bike for you. With both an adjustable seat and handlebars it is possible to find the most comfortable riding position. The seat is adjustable horizontally and vertically. In addition there is also a tilt option for the seat, this is a feature that you won’t find with many models. Furthermore the handlebars have padded armrests for additional comfort in the aero position. If you have ever scraped your shins on the pedals of a spin bike you will know how much it hurts. Taking this into consideration this model features both anti-slip pedals and adjustable pedal baskets. Due to both of these features a firm and secure footing is guaranteed. With a maximum user weight of 125 Kg the Sportstech SX200 is undoubtedly a sturdy machine when in use. 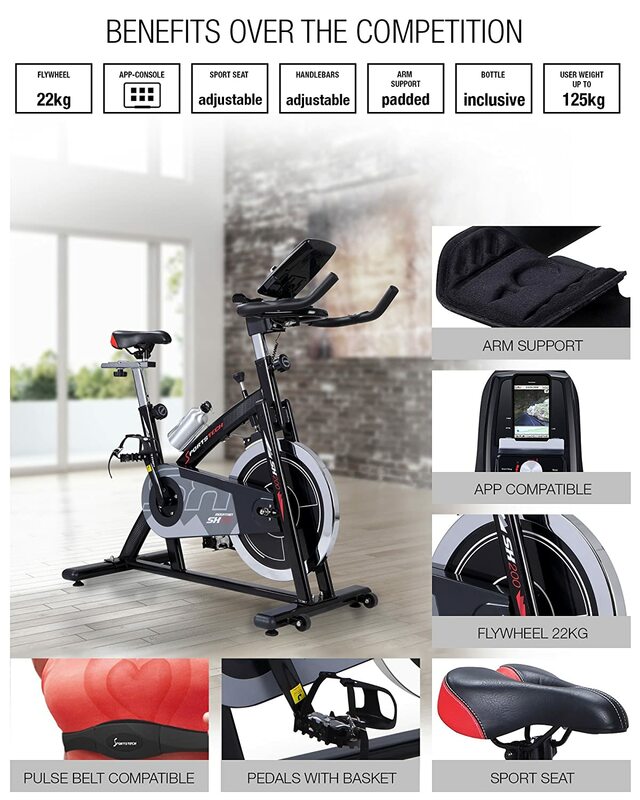 When buying a spin bike a maximum user weight of 100 Kg is a good indication of a robust and well-built model, so with a maximum user weight of 125 Kg the SX200 is more than capable of providing a sturdy spinning session. This excellent bike was easy to assemble and is extremely well finished and feels professional. I would highly recommend purchasing from this company. 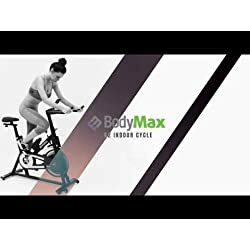 At the time of writing there isn’t a bad customer review to be found..
It’s hard to find a bad word to say about this indoor cycle. This is mainly due to the fact that it has better features and specifications than the competition. In addition customer reviews are overall very positive. In our opinion this is a good model for newcomers to spinning as well as intermediate users. More advanced users would be better off with the SX400 as the resistance is a bit more intense. 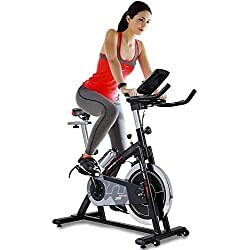 If you are looking for one of the best spin bikes for home use, then you should consider the SX200 as a serious contender.